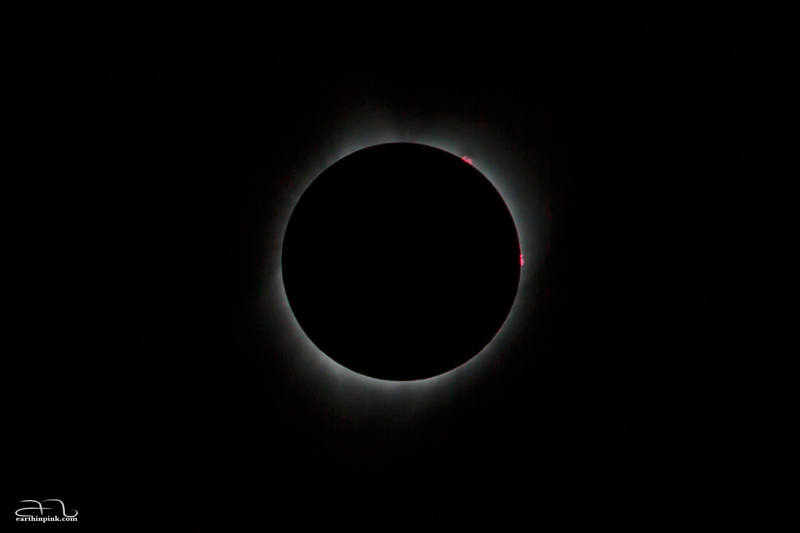 A very short exposure photo that shows the inner corona. I was impressed by the fact that the camera could capture the color of the solar prominences at the top right, which appear red because of Halpha line emission. Photography and physics combined!